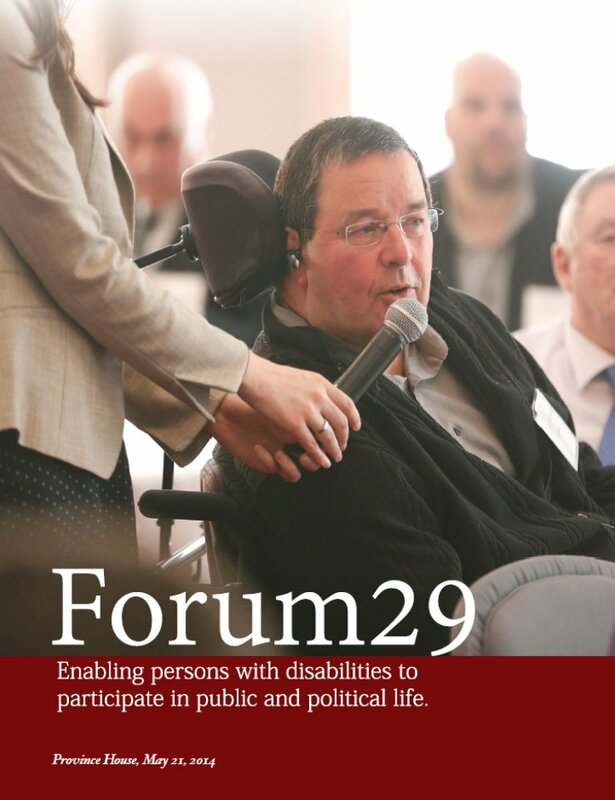 Forum 29 was a one-day event held by the Nova Scotia Disabled Persons Commission, the Halifax Regional Municipality Mayor's office, and the Nova Scotia House of Assembly in May 2014. Named for Article 29 of the Convention of the Rights of Persons with Disabilities, it brought together people with disabilities and other stakeholders to discuss existing barriers and possible solutions to accessing public and political life. The report includes an overview of the panels and a list of the barriers and solutions that were identified, as well as the next steps.